Drusillas Park is situated near the village of Alfriston between Eastbourne and Brighton and has a lovely ‘local’ feel to it despite it being quite a large zoo. We’re huge fans of zoos in this household – we’ve always enjoyed watching animals and how they interact. So when we were invited to come visit last weekend, we couldn’t wait to visit. 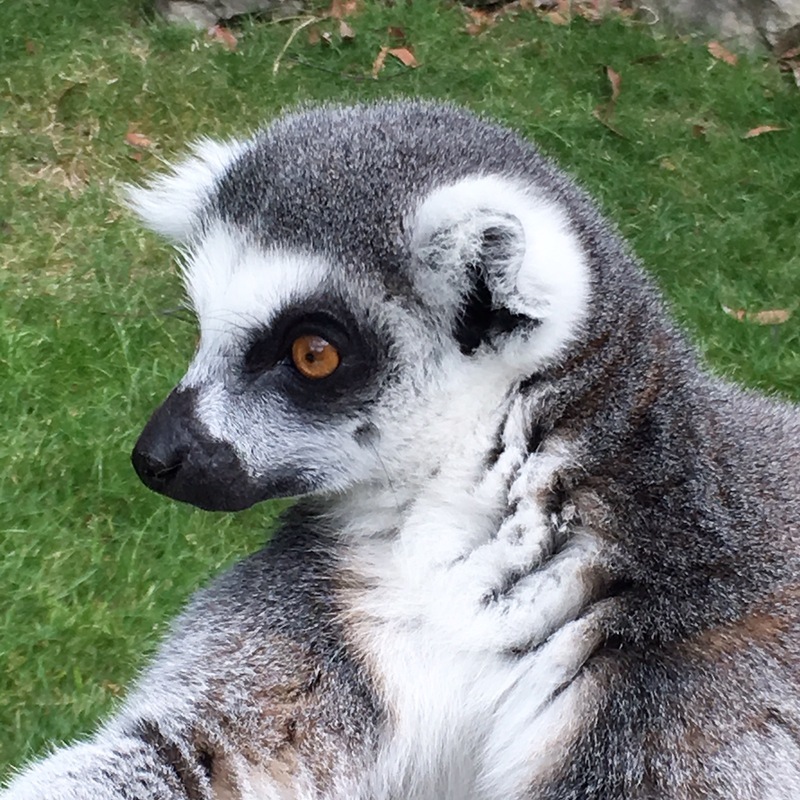 We have visited Drusillas Park before and have always had a nice time, so we were really excited to find out that they’ve recently had a few new additions to the zoo. These include; marmosets, otters, Macaques, and meerkats! It was lovely to see all the young animals in the park – they were all so so adorable. It took T some time to focus on the little ones, especially when they were camouflaged so well, but once he found them he kept pointing and squealing. Unfortunately, we didn’t have time to stop and listen to any of the talks that were occurring throughout the day, but we were impressed that there was always something going on. T’s favourite animals from the day were definitely the lemurs and the bats. I think this was down to the fact that both enclosures were walkthrough enclosures, so it was really interactive. The bat enclosure was especially interactive with our noses! We arrived just after 10am and spent a good 2-3 hours casually walking around the zoo – there really is plenty to see and do. Our friend’s children really enjoyed collecting stamps, using their spotters guides, and reading the tour guide. After the zoo, we were definitely ready for some lunch. Although we bought a picnic ready to feed an army, the cafes surrounding the picnic area served a variety of food and drink. I really appreciated the amount of seating available – which you’d think by lunchtime would have been packed but we still managed to find a quiet table away from the hustle and bustle. In addition to the babies, Drusillas have also installed a new water park for the summer, which is perfect for T who is a complete water baby. We explored this once everyone had digested their lunch. This was by far one of T’s favourite part of the day as he could just let loose and enjoy the water on what was a really hot day. There was a huge variety of water canons and fountains, all ranging in speed, and because of the variety available you didn’t have issues with the bigger kids hogging anything. The area itself is really spread out and considering it was the weekend (and the summer holidays) it wasn’t that busy – or at least it didn’t feel like it due to the amount of space available. After the water park (and getting T changed! ), we explored the soft play area, the adventure parks, and the Thomas train ride which travels around the majority of the park! These features have been around for a long time (although you wouldn’t know it) as they never get tiresome. Me and S T really enjoyed climbing in the soft play arena. T was sadly a little too small for the Hello Kitty adventure park, but we’ll be sure to revisit it when he’s a little taller. Our friends children seemed to enjoy it as they went on each ride at least three times! By 5pm we were ready to head home, although not before going to the gift shop! There’s three on site depending on where you are in Drusillas. T was treated to a little soft monkey and we treated T’s friend to a little gibbon as that was his favourite. We thought we’d make the most out of T not knowing what a gift shop is! We had a wonderful time at Drusillas and will definitely revisit soon – we’re even contemplating memberships just so we can visit the adventure and water parks! Drusillas also have a number of special events and appearances happening. T definitely enjoyed himself as we hadn’t even reached Alfriston before falling asleep! We were provided with a family ticket to attend Drusillas, however all thoughts and opinions are our own. Sounds like a brilliant day out, I’ve heard so many good things about Drusillas, I do hope that we make it down there to visit one day. The water play area looks great fun! Wow this looks like a fab day out! Looks like you had a great day, I love the look of the water park area!